This solution extends ConceptDraw DIAGRAM with technical building plan tools, to help architects and building engineers. 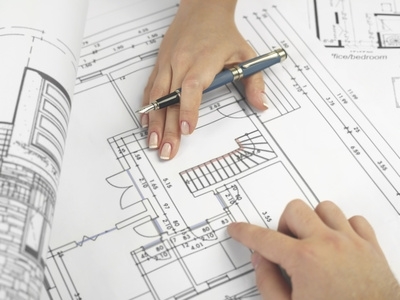 Benefits: Building plan tools help architects and building engineers. With ConceptDraw DIAGRAM you have the ability to develop design proposals, communicate ideas and concepts that relate to a design, communicate requirements to a building contractor to facilitate building, record completed work, and make a record of what currently exists. Using ConceptDraw DIAGRAM, you can draw floor plans, site plans, plans of building services, fire and emergency plans, furniture and equipment layouts. Objective: Visually communicate the principles of building design to simplify and accelerate understanding, analysis, and representation. Solution Purpose: Easily create the architectural and building engineering drawings: floor plans, site plans, plans of building services, fire and emergency plans, furniture and equipment layouts. Intended For: Intended for architects, building engineers and anyone who need to visualize the design and layout of buildings, sites, offices, rooms, etc. Products and Methods: ConceptDraw DIAGRAM is a powerful intelligent vector graphics engine that can be used for building plans. Draw floor plans, site plans, plans of building services, fire and emergency plans, furniture and equipment layouts for the visualizing of building and site design and engineering services.